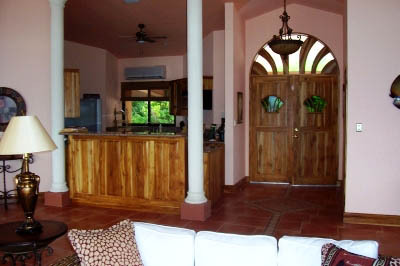 $449,000 Long Term Financing Available at Low Rates!!! 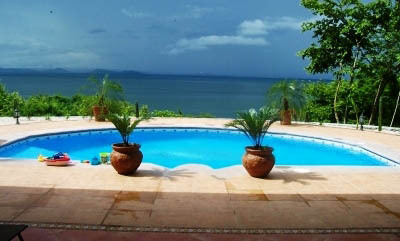 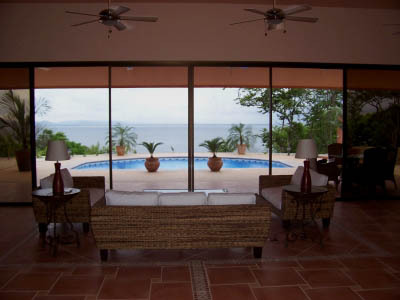 New residential community on the beach with awesome ocean views overlooking Bahia Gigante and the Gulf of Nicoya. 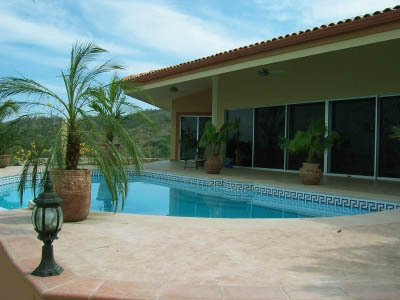 NOW featuring brand new, first class construction, luxury homes with all the comforts and infrastructure of a gated community, such as 24/7 security, beach club, paved roads, street lights, underground electricity, water, telephone and internet services, house and pool maintenance and much more. 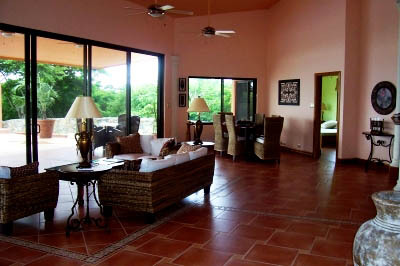 Now for sale: Luxury residence featuring 3 bedrooms, 3 baths, large and comfortable living area and kitchen all completely furnished and equipped, large pool and beautiful terrace. 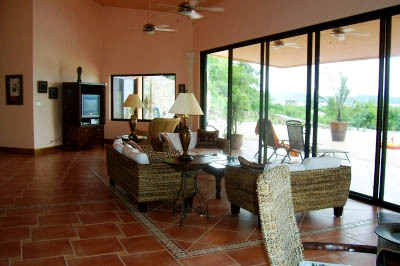 The house measures 295 square meters / 3,175 square feet and the property measures 2,000 square meters / ½ an acre. 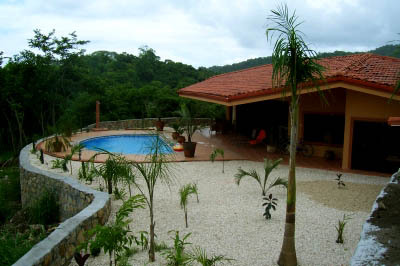 Beautiful and tropical gardens lead to the sandy tropical beach situated at just 200 meters / 2,152 feet from your dream house in Costa Rica. 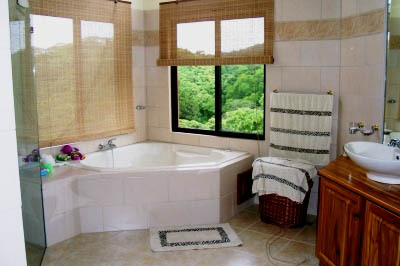 The community is surrounded by incredible and lush vegetation, green mountains that stretch out to the Pacific ocean; the whole area is one of the few unspoiled spots left in the Peninsula, with great development potential and high appreciating value; if you want a secure and successful investment this is the place right for you. 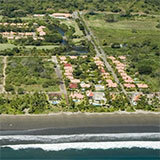 We as professionals highly recommend this investment in Costa Rica! 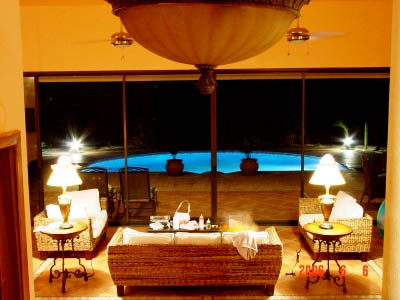 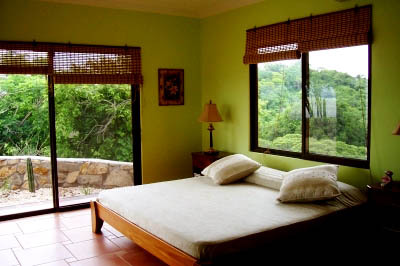 The owner offers long term financing at 6% per year which is a lot lower than what banks in Costa Rica offer!